Signed for £13.59m: Allardyce deserves praise for the Palace man thriving under Hodgson | The Transfer Tavern | News, breakdown and analysis on all things football! Assessing Crystal Palace’s squad, there are not a lot of goalscorers for manager Roy Hodgson to call upon. With Christian Benteke misfiring, prior to Michy Batshuayi’s arrival in January, it was just Wilfried Zaha and midfielder Luka Milivojevic scoring the goals for the Eagles. 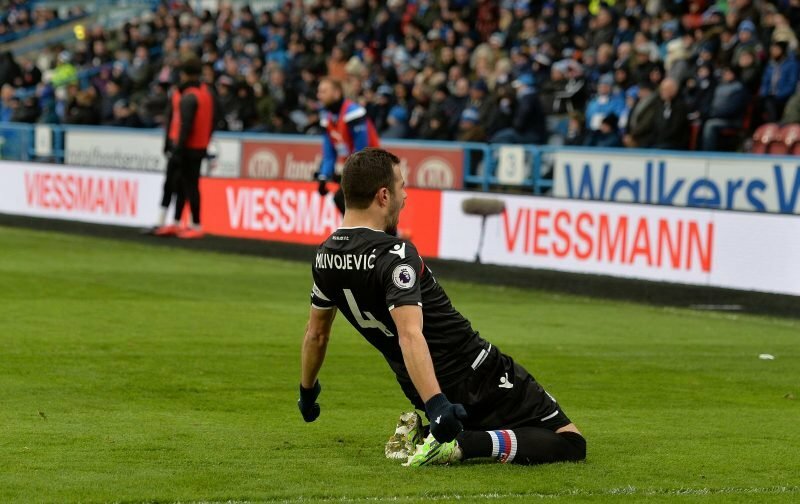 Albeit mostly from the penalty spot, Milivojevic managed to find the back of the net on 10 occasions in the Premier League last season with the 27-year-old set to reach that tally again this term. Considering that, Milivojevic has been such an important player for the south London club since joining from Olympiacos for £13.59m (Transfermarkt) during the 2017 January transfer window. In the Serbian, Crystal Palace have a match-winner, one Sam Allardyce deserves some credit for bringing in. It is not just his efficiency from the penalty spot, though, that has made the Serbian become that important player for Hodgson. In the middle of the park, Milivojevic brings plenty to side, providing energy and better defensive solidity with his ability to win the ball back with tackles and interceptions. With all of that in mind, Milivojevic’s transfer to Crystal Palace will undoubtedly go down as a success. And while the manager who brought him to south London is no longer in the Selhurst Park dugout, under his current boss Hodgson, the former Olympiacos man has still been able to flourish in this Crystal Palace team.